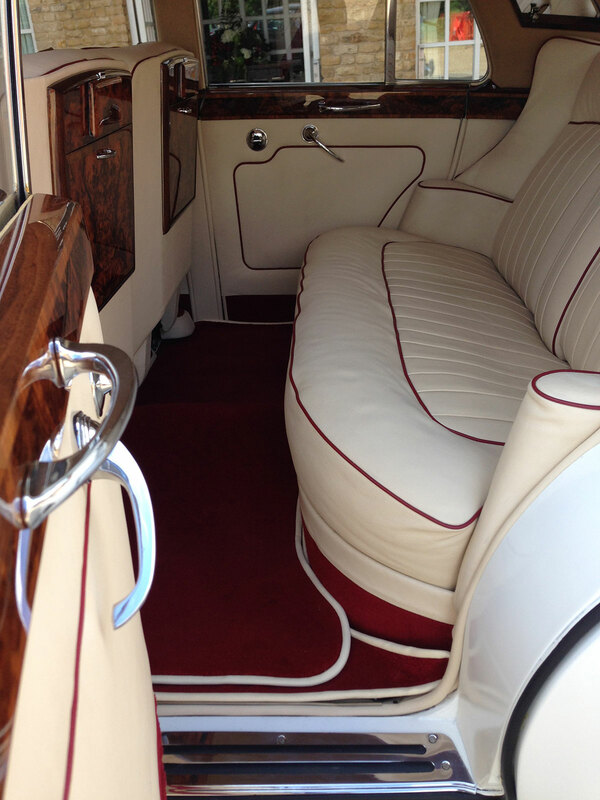 The Rolls Royce Silver Cloud III (we have a pair) both built in 1964 is undoubtedly one of the most iconic cars of its era. 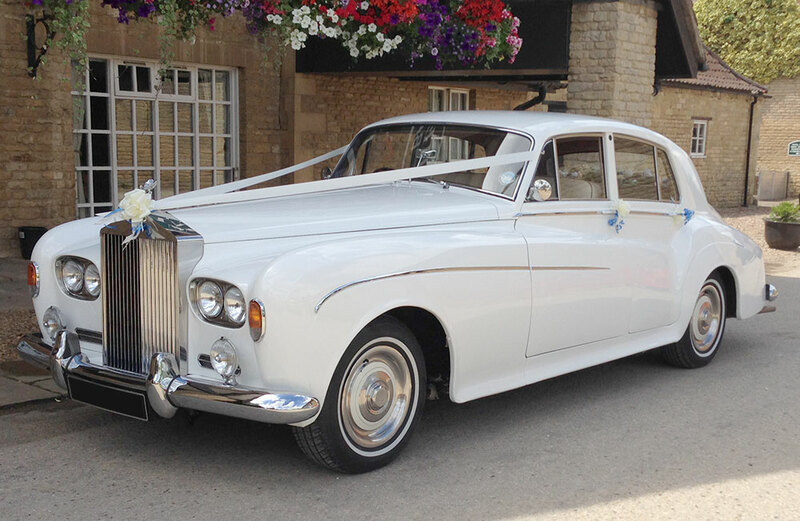 Finished in white and with traditional chrome features the car is as striking today as it was when it was first made. 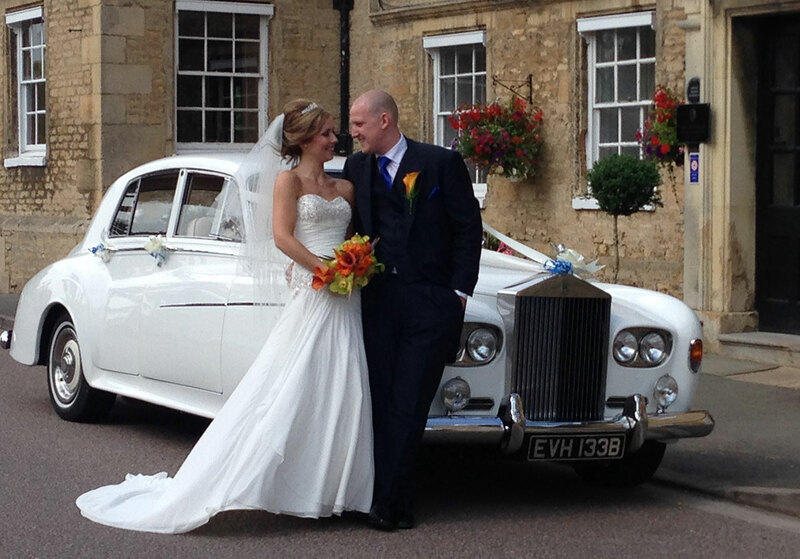 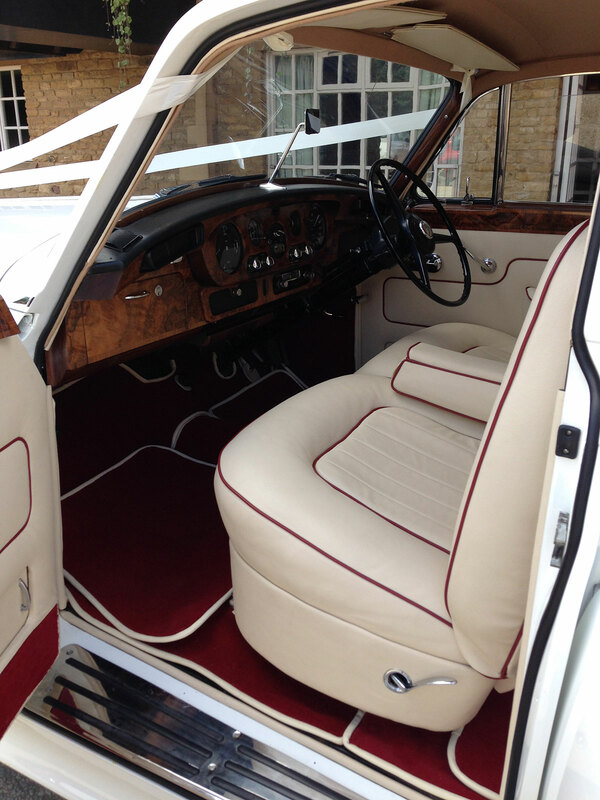 Ideal for the bride who wishes to arrive in style. 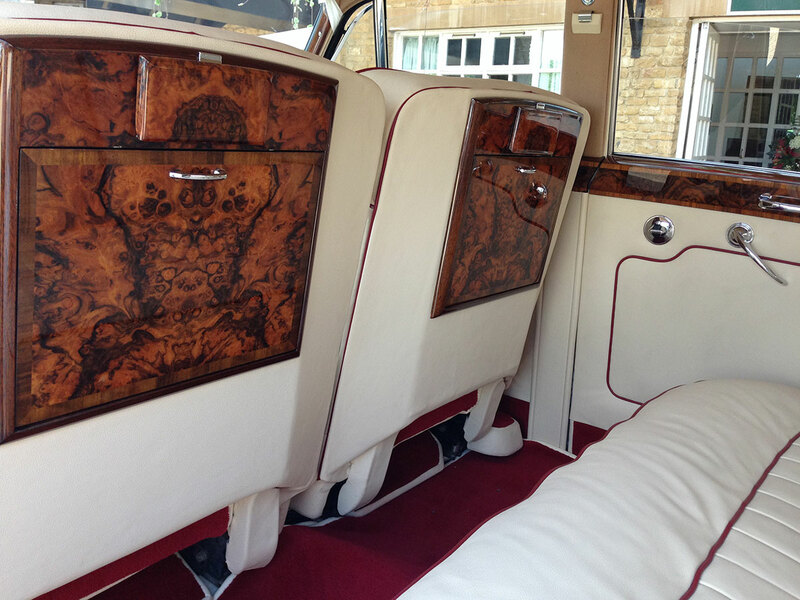 The interior of the car is finished with traditional burr walnut hand made by Rolls Royce craftsmen and both are complimented with a leather interior, in either cream or tan. 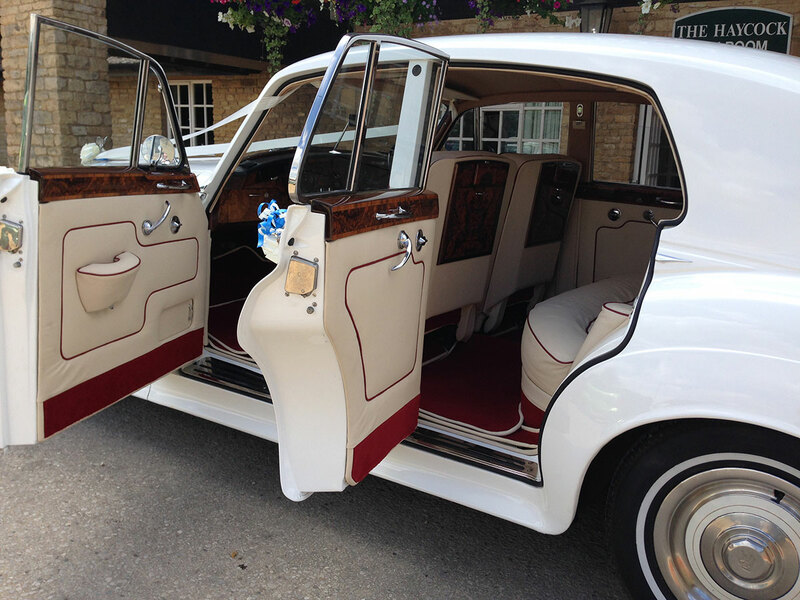 Seating up to four passengers the car exudes quality. 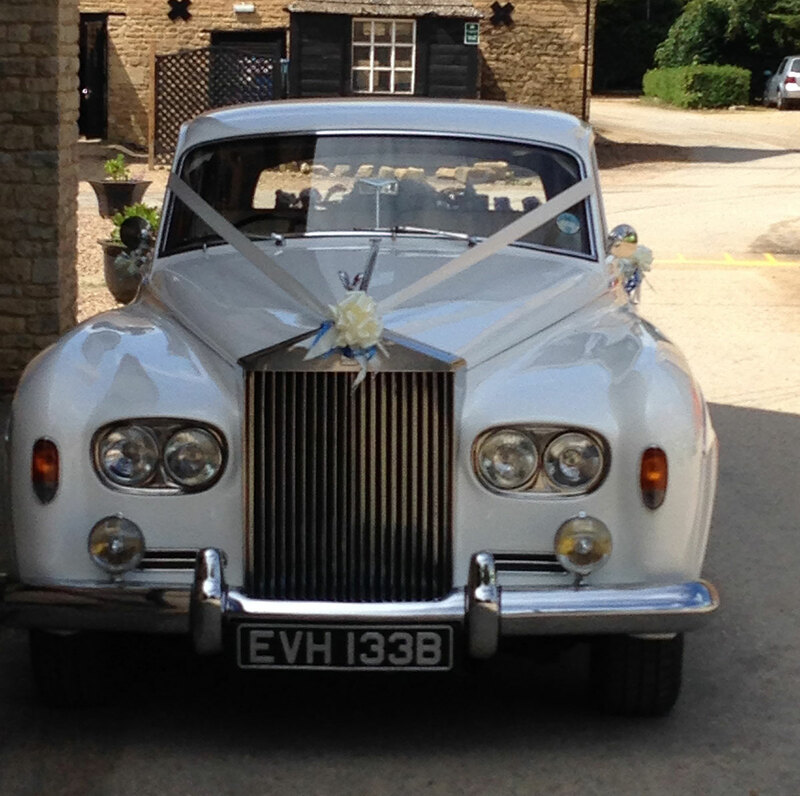 Ideal for use as single car or can be hired together with any of our other vehicles.